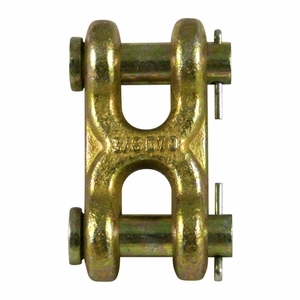 For quick and easy chain repairs, twin clevis links are definitely a customer favorite. 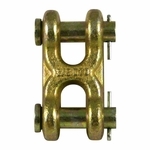 Often used to repair or connect towing chains and trailer safety chains. They are very easy to use and assemble. The bodies are made from drop forged steel, Quenched and Tempered. Rated for use with Grade 30, 40/43 and 70 chain systems.